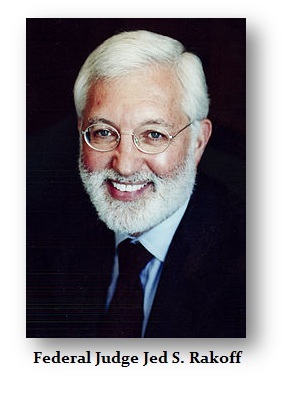 Judge Rakoff is a lone warrior – perhaps the only man standing in the New York court system. There are other judges who are not entirely corrupt, but fear ruling against government. Judge Rakoff also handled the case of the purported terrorist who confessed according to prosecutors Mr. Abdallah Higazy, an Egyptian graduate student, was alleged by the government to have guided the planes into the towers on 911 using a special airline radio..Higazy had recently received a scholarship to study in the United States, but became a suspect in the 911 terror investigation when an employee of the Millennium Hilton Hotel in lower Manhattan, in which Higazy was staying at the time of the World Trade Center attack, claimed to have found an aviation radio inside Higazy’s room safe. Higazy denied any knowledge of the radio. He was arrested and thrown in prison and then tortured. The government tortured Higazy and compelled him to confess to owning the radio. 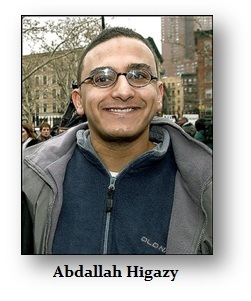 Higazy was then charged with lying to the FBI and was thrown into solitary confinement where many have committed suicide. The government told Judge Rakoff that Higazy had confessed so once again there would be no need for a public trial. Then out of nowhere, the radio’s real owner, an American pilot, came forward to claim it. Obviously, Higazy confessed to a crime he did not commit that is standard practice in New York. Having been completely exonerated, Judge Rakoff ordered Higazy to be released from custody and all charges against him were dropped. The hotel employee who claimed to have found the radio in Higazy’s room then admitted he fabricated the story, but was not charged. One must question the government’s involvement in that one as well. Higazy explained that he had falsely confessed because the polygraph operator had threatened his family. They ALWAYS threaten your family – that is how they keep their 99% conviction rate. Women are threatened with taking their children and putting them up for adoption. Federal Judge Jed S. Rakoff ordered the U.S. Attorney’s Office to investigate how the FBI came to extract a false confession from Mr. Higazy. The government’s first response was to tell Judge Rakoff to take a hike. They bluntly told him he had no authority to order the government to investigate how it extracted an obvious false confession from an innocent kid.